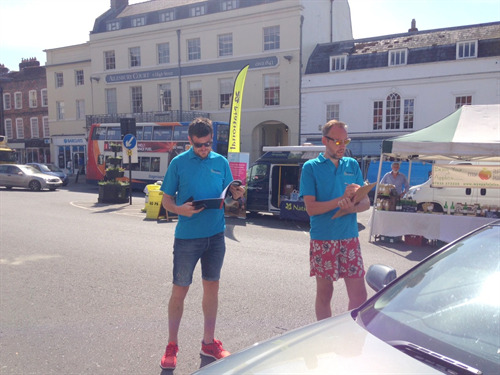 Your Neighbourhood Plan Steering Group is working with People & Places on a Car Parking Survey which will give us real evidence of parking needs and trends in Marlborough. Now that the physical parking survey has been done, we're asking everyone to complete the online parking survey too, This will run until the 31st of August 2017. What’s happening with the Marlborough Area Neighbourhood Plan? Your Neighbourhood Plan Steering Group is working with People & Places on a Car Parking Survey which will give us real evidence of parking needs and trends in Marlborough. Watch out for them in and around the town this week (w/c 12th June). Keep an eye out for an online parking survey too.